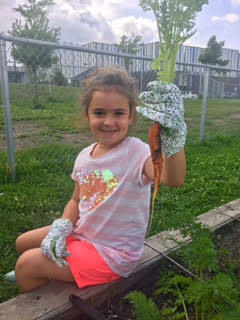 Sharing St. Cecilia's School Community Garden: Welcome Back to School St Cecilia!!! Welcome Back to School St Cecilia!!! Welcome back to St Cecilia! What a great (but fast) summer season! The school gardens did really well this season and we have some great crops ready for classes and kids to explore, harvest, learn from and maybe even eat during the month of September. We made another donation to Parkdale Food Centre of kale and lettuce but left a bit for students to check out when they are back. We have HUGE beets ready for harvest (I have never seen beets this big before!) as well as lots of carrots and potatoes. 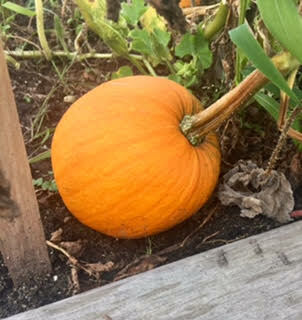 There are a few pumpkins growing as well as some onions. Stay tuned as we wrap up our second year of successfully growing and learning from our school gardens. Student volunteers in the carrots! That's a Wrap for the Summer 2017 Season!